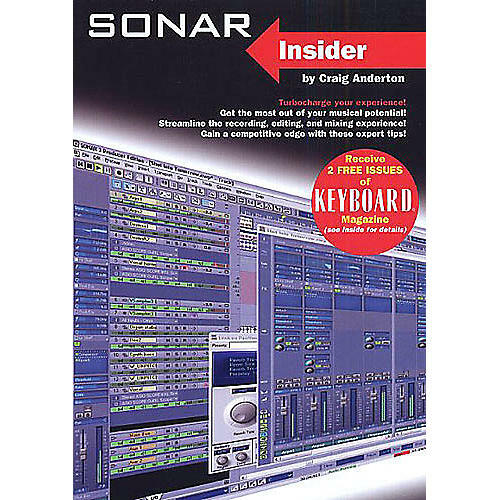 If you're a Sonar user, this is the book you've been waiting for. Regardless of your level of experience, these tips and techniques - from one of the world's leading authorities on Sonar and musical technology - will improve your music-making, streamline your work flow, and put you in control of the power this program offers. Presented in an easy-to-read, technically-savvy manner and packaged with illustrations, Sonar Insider isn't just a rewrite of the manual. It represents the knowledge gained through years of experience working with this popular program. Get the most out of your musical potential. Streamline the recording, editing, and mixing experience, and gain a competitive edge with these expert tips written by industry expert, Craig Anderton.